Benchmade’s new offerings still trickling in- we just got the black blade models along with other versions of the new Torrent. This is a nice knife! Contoured G10 handles and a polished, deep pocket clip and a textured handle spacer looking sort of like file work make this a stylish item. It has a simplicity to it that is appealing. Blade is flat (sabre) ground. Cold Steel gets in the Self Defense Pepper Spray market big time! They have done an excellent job of improving on the products presently available and offering them at a great price. 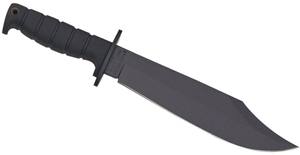 www.knifecenter.com has their full assortment. New Sweepstakes For Harley Davidson Nitrous Folder. 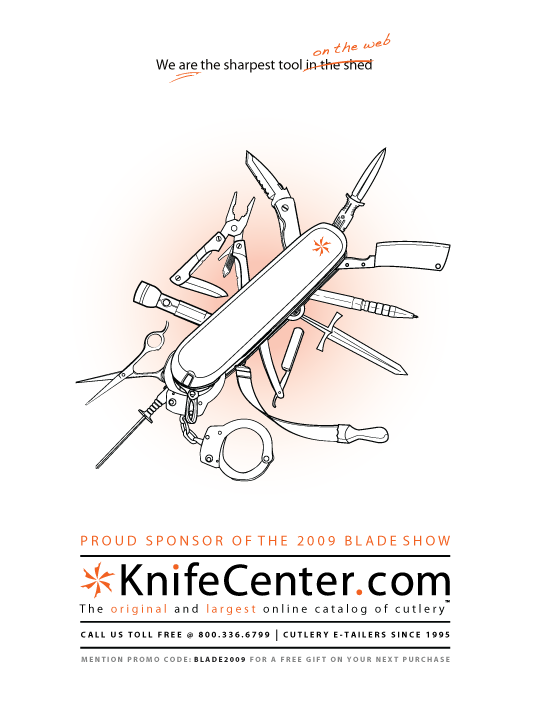 We’re getting the Spring off to a great start by giving away a great Harley knife. Sign up for the sweepstakes to enter. No purchase is necessary. This knife we are offering is really a great folder. It is very lightweight and very fast. You can go to the Sweepstakes page to read all about it. A sprint run of the amazing Spyderco Military. This bright orange G10 handle will almost guarantee that you won’t leave it on the ground after using it. But try to put it back in your pocket! Buck Knives is a great American company. They don’t rest on their past accomplishments and they keep coming up with great products. Buck is trying to move production back to the US for new items and these are a wonderful example. Two sizes of folders with a variety of handle and blade materials. Prices start at $19.95 and for an American made folder, that’s not bad! So far, we have just gotten in the basic models in large and small size. These have the Buck Steel (420HC) and plastic handles, but they work and feel really great. 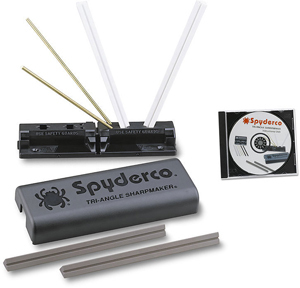 The flipper opens them smoothly and quickly, although they are not assisted. 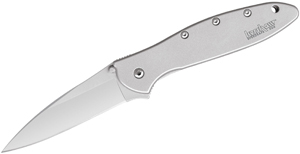 The handle material has a really solid feel and have full steel liners. The polished pocket clip is attached to allow reversible, deep pocket carry. These are well engineered folders and we are glad to have them at www.knifecenter.com.